I'm a self-proclaimed Christmas elf. My season of joy kicks off around mid-November and it's full speed ahead through the end of December. Unfortunately, all those fun elf activities don't leave a lot of time for reading over the holidays so I'm thrilled when new novellas and anthologies hit my Kindle. Give me four (short) stories by four of my favorite historical romance authors and I'm over the moon with delight! 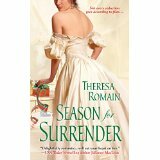 Theresa Romain joins us today to talk about A Gentleman For All Seasons, her new anthology with Shana Galen, Vanessa Kelly and Kate Noble. For more information about all four authors, see the links at the bottom of this post. To read Janga's review of A Gentleman For All Seasons, click here. Please give Theresa a warm welcome! Hi, everyone! 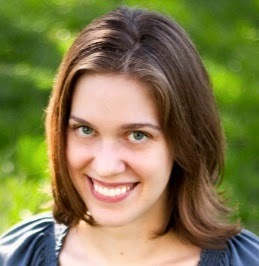 I’m Theresa Romain, historical romance author. PJ, thanks for the chance to visit The Romance Dish today to talk about my new release with Shana Galen, Vanessa Kelly, and Kate Noble: the historical romance anthology A Gentleman for All Seasons. A Gentleman for All Seasons covers a year in the life of a village as well as the continuing characters, and my fellow authors and I each brought the flavor of the season into our novellas. “Spring is a time of awakening,” begins Kate Noble’s A Madness in Spring. In her novella, two long-sparring enemies awaken to their truer, deeper feelings. In Shana Galen’s The Summer of Wine and Scandal, a sultry affair begins between a London dandy and a local vintner’s daughter—both of whom are, they realize, more than they thought. My own novella, Those Autumn Nights, is a second chance at love romance for an ex-soldier and his formerly wealthy former betrothed. The passage of time allows them to begin anew, with a love as rich and bright as turning leaves. And in Vanessa Kelly’s A Season for Loving, a cold-souled Highlander finds the warmth of unexpected love during a holiday house party. We had a great time planning this anthology and writing our stories, and we hope you’ll enjoy reading them! A Gentleman for All Seasons is available at all major ebook retailers. And you know I wouldn’t come to visit without offering a giveaway! I’d love to know: What’s your favorite season of the year, and why? Mine is autumn, which is why I begged the others to let me have that novella. I love the cooling weather and the changing color of the leaves. To one commenter, my fellow authors and I will send the following books. How exciting to read four stories from four of my favorite Authors as well. Theresa I love second chance romance stories. I actually have 2 favorite seasons Fall and Spring. The temps aren't harsh, their more comfortable for me. Spring has the beauty of flowers blooming and Fall has the colors and scents I love as well as the coming Holidays. Thank you for the post. It's a toss up for me between Spring and Fall. Both have milder weather so I can wear my boots and lots of flowers blooming. In my part of Texas things come back to life in Fall after the dry hot summers. I've got the anthology on my Kindle and it is next on my TBR list! Glenda, I'm so glad! Thanks, and happy reading to you. And I completely agree about fall in the south. I used to live in Louisiana, and the autumn break from the heat seems to revive everything. I think each season has its unique beauty. Every spring, I think I live in the most beautiful place on earth, but spring makes me lazy and dreamy. Thus, fall, which leaves me not only awed by its beauty but also filled with energy, is my favorite. I always feel that anything is possible in October. Hi, Janga! Thanks so much for your review. I feel the same way in October; that's when summer starts to feel like fall here, and I start to feel like writing and writing. PJ, thanks for hosting today! It's always such a treat to visit The Romance Dish. It's always a pleasure to host you, Theresa! Thanks for bringing along your friends today! Mine is fall...or spring. One of those. Not summer, which we have 6 months out of the year. Hi, Shana! Um, yes, I would have to agree with that. I live in the Midwest, where summer and winter are each 5 months long. Spring and fall make for gorgeous little slivers on either side of the heat and cold, so I can't help but love them. Natasha, that's so cool! If I knew how to ice skate, I'd be looking for frozen ponds all over. Hope you get some good skating in this year. I love early spring. Really, it's late winter for everyone else. But here in south Texas, late January-early March offers lots of opportunities for gardening in cooler weather. And, of course, there's Mardi Gras, typically in late Feb. to early March. Laissez les bon temps rouler! I could've guessed from your handle and photo that you had a Louisiana connection! Do a lot of Texans celebrate Mardi Gras too? I now live in the Midwest, where it's almost unheard-of. The beach is one of my happy places so, of course, I love summer but my favorite season of the year is fall. The brilliant colors of changing leaves, the deep blue Carolina sky, crisp nights, and clear days; its like reawakening from the long, warm, drowsy days of summer. And then, there's football. College football, NFL football, high school games under the Friday night lights. I welcome them back every fall with the unabashed joy of a life-long fan. So really your favorite season is football? :) PJ, thanks so much for the chance to visit today! All great authors!!! I've always chosen Spring. After a cold winter I so look forward to green, and warmth and birds and flowers and just being able to walk outside. The older I get the more I dislike winter and Autumn reminds me it's coming. Since I live in PA, summers aren't too hot so my order would be Spring, Summer Autumn, and Winter. Catslady, if I lived in a place with mild summers, I'd say the same as you! Summers in PA must be beautiful. My favorite season is the Christmas Season - which is THE BEST!!!. Autumn...please. Wait, is this a subtle plug for your novella? ;) It's true, everyone: Vanessa wrote the winter/Christmas novella for this anthology. My hero could hardly bear to watch the heroine--his younger sister--fall in love in such an adorable and festive story. Congratulations on the anthology. I don't like heat, so I enjoy Fall & Winter. Kim, we are getting into your time of year! Congrats on the new anthology! I love reading Christmas romances, and I have ALREADY started reading one. Fall is definitely my favorite season. The hot, humid summer is over. Fall brings cooler temps, changing colors, college football, and pumpkin spice everything. Cheryl, yes to the pumpkin spice! That's become such a comforting association with fall for me. Not that I eat or drink it that much, but I like seeing it in stores.Of course, now we're getting into peppermint and eggnog season. My favorite season is Autumn. The weather is getting a bit cooler, perfect sweatshirt weather, and I love how the smells remind me of Fall. Also, I loved going to school and Autumn meant Summer was over and I would be going back to school. I hated leaving for the summer. Catherine, that's really sweet that you loved going to school. :) My daughter is the same way for now, and I hope her feeling lasts. I love the fall! the vivid, bright colors, the cooling air. Something fun about getting ready for winter! Until it's actually winter of course :) thanks for such a fun post and giveaway! I love summer, the soothing heat, sunshine, long days, soft evenings and nights and going for long relaxing walks. Traveler, you paint a lovely picture! Fall where I live is perfect. 80's, deep blue skies and ideal to sit outside. The most beautiful and special season of all. That does sound lovely, petite. It's nice when the weather permits being outside. Autumn--Fall colors, cool crisp air, Thanksgiving, and my birthday! My favorite time of year down here in southern Florida is winter. The weather is much more tolerable with cooler temperatures and hardly any humidity. I would love to read Shana's book, "The Pirate Takes a Bride", it's the only book of hers that I haven't read. Florida is THE place to spend winter, isn't it? It must be gorgeous there. And you are in for a treat with Shana's book! My absolute favorite is spring. It is the time of the year where flowers and plant start to bloom. Everything is waking up. After that the next is autumn. I love the changing of the colors and how the weather cools off. 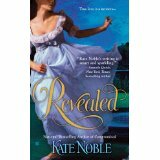 Pamela, Kate Noble's novella begins the anthology, and I love that she captures exactly those things about spring. Hope you enjoy! My favorite season is spring - I'm always so glad when winter is over! Di, that is indeed something to celebrate! Though every spring, my poor early-blooming daffodils seem to get snowed on. Winter doesn't give up easily. I love Christmas, but my favorite season is still summer. I like the longer days & sunshine! Congrats on the new anthology. I can't wait to read. I like both spring and fall. Spring because everything is growing anew, and fall because the weather is cooler but not cold yet. I look forward to reading it. My favorite season is fall. Love the cooler temps and changing of the leaves. My favorite season is summer. I'm lucky to live on a small lake in central Wisconsin. We usually have pleasant temps in the 80's. The weather is ideal for swimming, biking, walking and reading outside. I like daylight savings time. We usually walk and watch the sunset. I like to cut the grass and watch the flowers grow. I like visiting farm markets, eating fresh produce and attending weekly outdoor concerts. 4th of July picnics and fireworks are fun too! I love anthologies and with the chaos this time of the year brings, I need and read them even more. Being able to squeeze in a complete, good story is a joy when reading time is hard to come by. My favorite season is Autumn. I love the crisp, cool air, the crunch of leaves under foot, the smell of smoke in the air from chimneys and leaf piles. I am not a fan of hot weather and look forward to the cooler temperatures. I will be looking for A GENTLEMAN FOR ALL SEASONS. I know it will be a good read, how could it not when 4 of my favorite authors had a hand in it. Have a wonderful Thanksgiving. My favorite season is fall due to the cool weather and wonderful colors.